Adventure seekers coming to battle the waves, foodies drawn to the unique tastes of Tofino’s incredible culinary scene, and ocean lovers looking for a hip home base – Tofino Resort & Marina is the perfect place to experience the spirit of the wild, west coast. 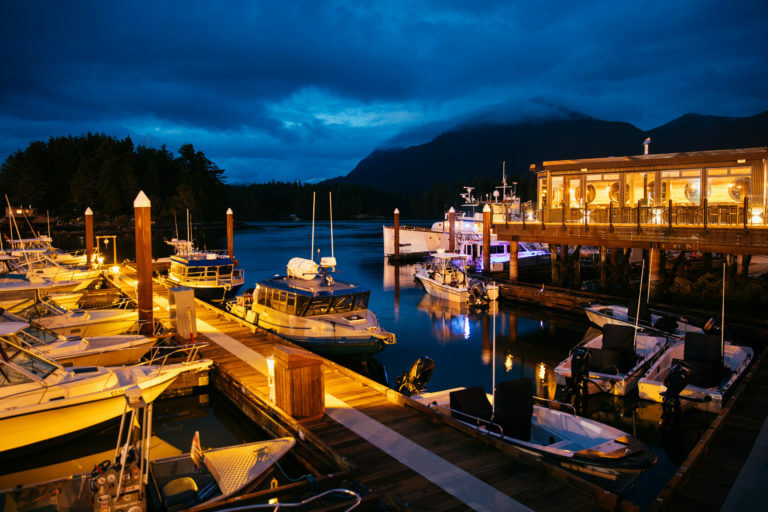 Inspired by adventure, Tofino Resort & Marina is the only full-service resort situated on the inlet, and is just a short stroll from the artisan boutiques, surf shops and Pacific flavours of this ruggedly refined ocean-side community. 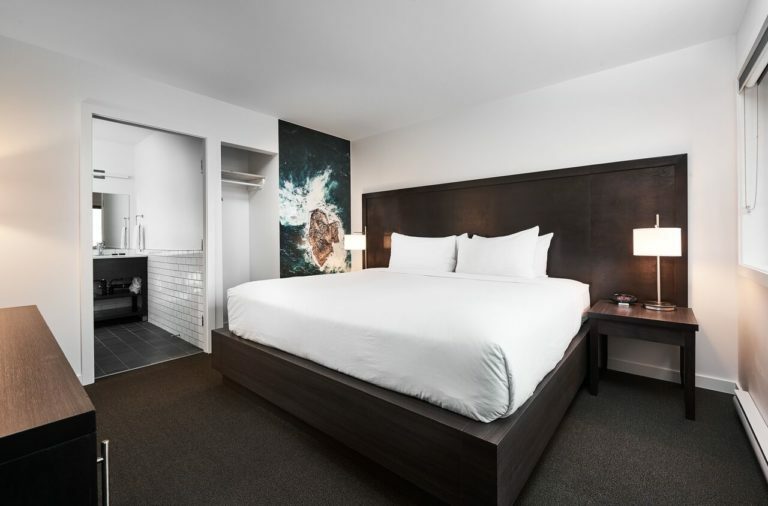 The 62 guest rooms offer marina views, oversized balconies, spacious Austrian king beds, and stylish décor. An onsite Adventure Centre offers unforgettable experiences from bear and whale watching tours, to fishing, culinary and gold-panning adventures, and two waterfront dining experiences complete the property, both with talented Chef Paul Moran at the helm. West Coast rugged has never looked so stylish! Two on-site restaurants offer both casual and refined dining, both with sweeping views of the Tofino Inlet and the marina. Signature restaurant, 1909 Kitchen, offers ingredient-driven cuisine by Chef Paul Moran, showcasing produce sourced and foraged from Tofino’s ocean, shoreline and forests. Chef Paul’s broad experience ranges from notable restaurants in Paris, Dubai, Montreal and Mexico to exclusive, luxury lodge kitchens in BC. His passion and talent for foraging from BC’s forests and shores, blends with his extensive background to create a distinctly Tofitian menu – fish-forward, with seafood platters and freshly landed catch. 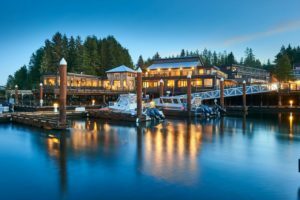 The Hatch Waterfront Pub is Tofino’s social hub, offering a relaxed yet vibrant vibe, inviting guests to sit back and take in sweeping views of Tofino Inlet, while sipping on local craft beers and classic cocktails, or enjoying an al fresco crab boil.